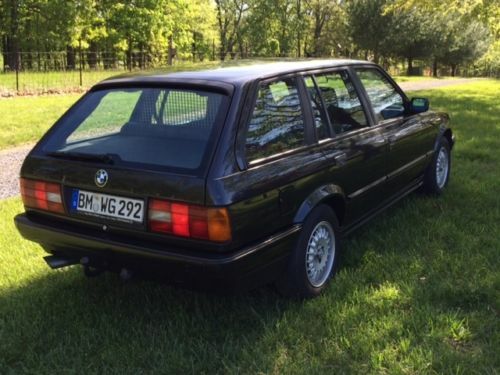 Hot on the heels of wagon week, we have another great little E30 Touring that was brought to Virginia from Germany (probably by an armed services member) a while back. In addition to the great looks of the original 3-series longroof, you get a dog cage, buttons in German, and that 80s cloth interior that reminds me so much of my childhood. 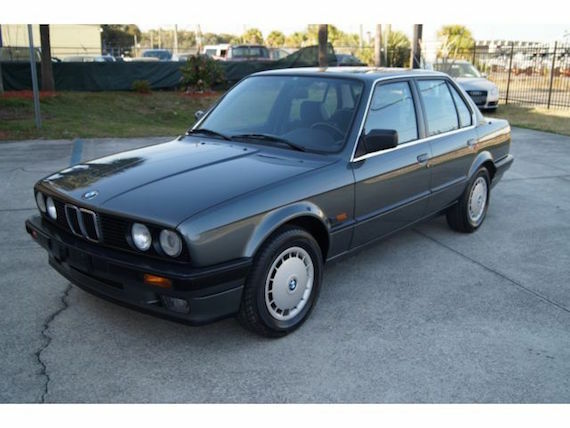 Bidding is hot but significantly lower than most clean E30s out there as I write this. It seems like the allure and rarity of these wagons is starting to wane, bringing them to a much wider audience and taking them back to their original status as an entertaining, useful, and affordable daily driver. I promised myself Iâ€™d switch it up this week and not write up another BMW but then this rig came across my desk and I couldnâ€™t ignore it. Royal Blue over Tan leather is one of my all time favorite color combos. It looks good on nearly any vehicle and the E30 Touring is no exception, it just works so well with the design and vibe of the vehicle. I have to say the replica BBS wheels are not for me, but the bright silver polish on them does pair nicely with the blue. I look to swap them out for a 5 or 10 spoke wheel if I was going to go with an aftermarket set, otherwise I think some E46 M3 wheels would look excellent here, though Iâ€™m sure many of you will disagree. I think that one of the most attractive things about all E30â€™s is the variety of ways they can be modified (or not) by their owners. There are so many different paths one can go down, full Euro-spec, engine swaps, â€œStancedâ€, rallye or just restored to stock. Each genre of E30 has its own vibe and I think this one would be best lightly modified but kept visibly simple. Blue/Tan is a pretty classy color combo, one that evokes thoughts of clean European cities and tidy country homes. What Iâ€™m trying to say here is this isnâ€™t a model Iâ€™d like to see turned into a hotrod with a Thule rack and bunch of stickers on the windows. Thatâ€™s not to say that I wouldnâ€™t want to replace the sway bars, control arms, end links and all the bushings because I certainly would. The beauty of an E30 is that itâ€™s a relatively slow car that you can drive fast if you know what youâ€™re doing and enhancing the handling capabilities will only enhance that experience. 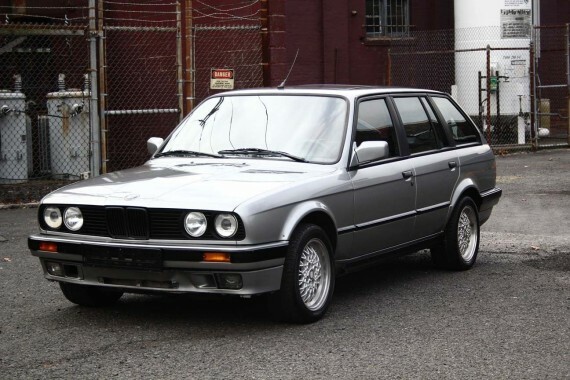 The E30 Touring I wrote up last week was a fine example but not for me as it was a.) Red and b.) a RHD model. 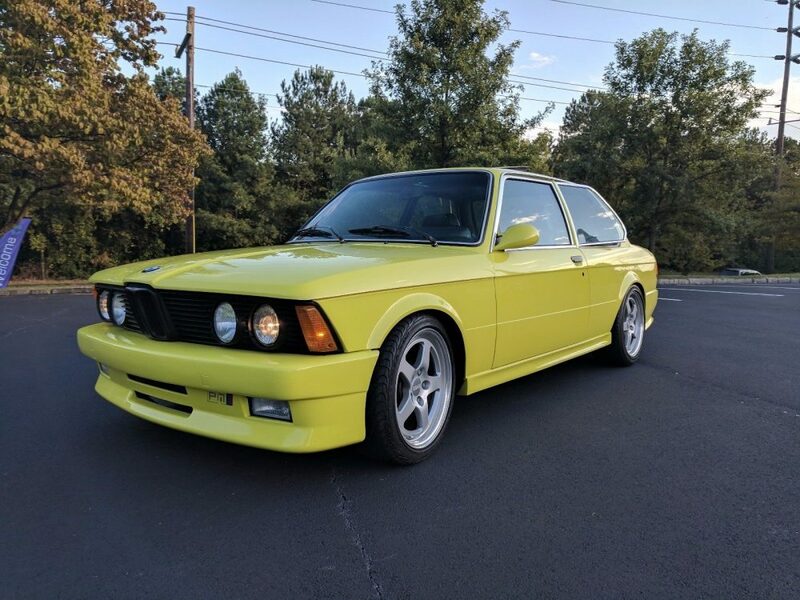 I quickly moved on from that vehicle and wasn’t really giving the E30 Touring much thought, that is until I came across this beauty on eBay. Certain cars just catch my eye and immediately I feel a connection to them. 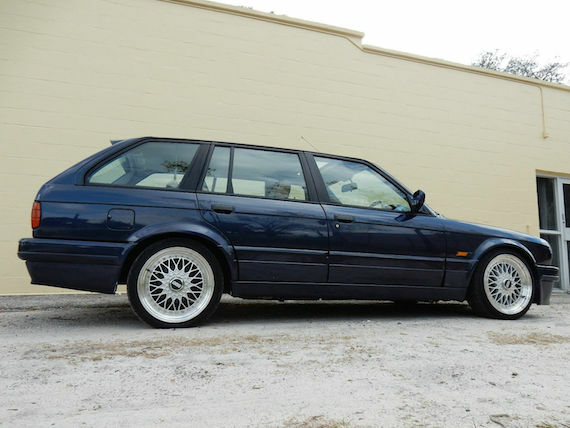 Such is the case with this 1988 320i Touring that currently resides in New Jersey. The overall condition of the car looks to be quite good for its age and living in a state that still thinks it’s ok to use road salt. MostÂ people think silver is a boring exterior choice but here, I think it works splendidly. The blacked out kidneys are a nice touch, something I would have wanted to do myself. It’s such a minor detail but one that really makes the car pop given that the window trim is also black, not of that chrome garbage. The 15″ BBS mesh wheels also look to be in good condition, some scratches and curbage are present but not so much that I’d take issue with their condition. The interior of this car is what really sells me on it, no tears, cracking on the dash or droopy headliner. The grey cloth seats are wonderfully simple and the grey door cards only add to the clean, elegant vibe of the car. 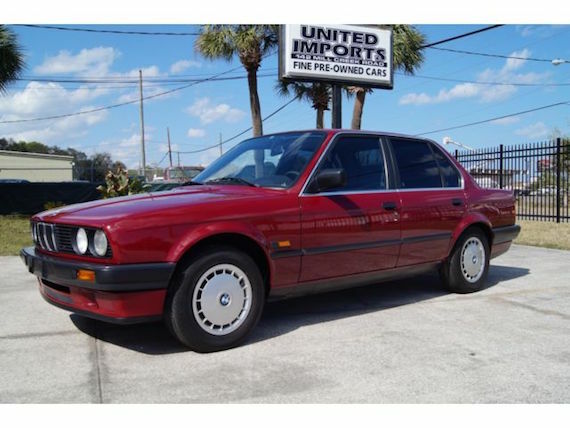 It’s getting harder and harder to find BMWs with appealing interiors, whether it’s the condition or the color choices, that makes this car even more of a rarity in today’s market. I’d go so far as to say this is the most lust inducing classic BMW I’ve come across in over a year of carefully watching the used market, that includes M variants as well. 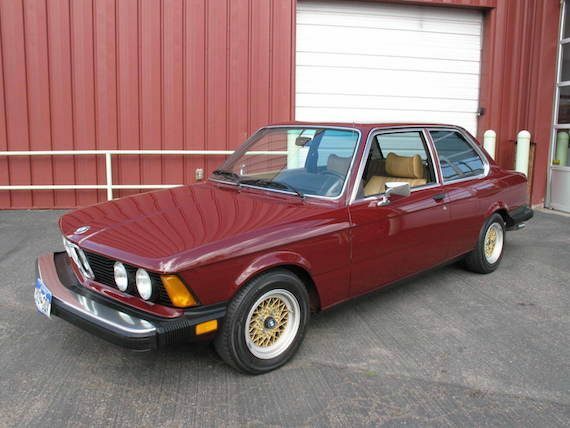 The E21 is an underappreciated gem in the classic BMW market. 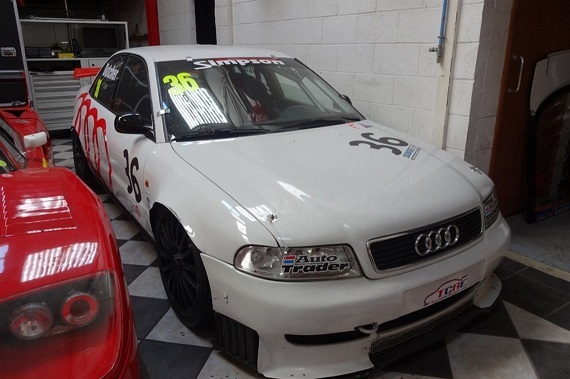 While many of the prime examples we’ve seen for sale have been low-mileage survivors, they have also been demanding prices in the mid-teens, which is several orders of magnitude higher than what standard, stock examples cost. Today’s is a fun compromise, combining dramatically modified looks with some careful mechanical attention and all coming together for a fairly reasonable price. 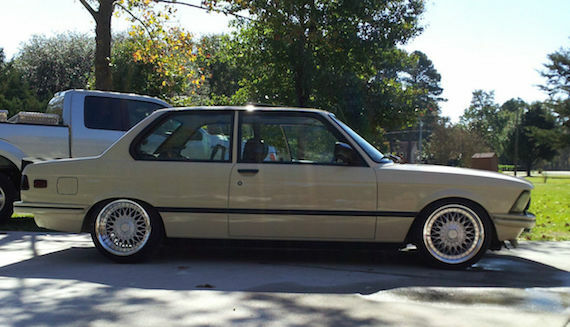 It won’t be to everyone’s tastes, but I like the cream exterior on shiny BBS deep-dishes. It’s a little too low, but that’s clearly the look the seller was going for. 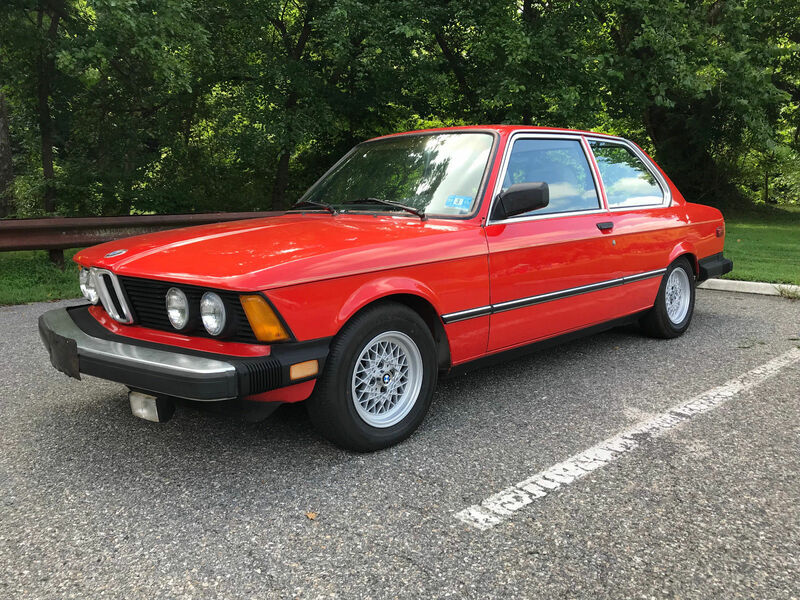 The big selling point for me is that the current owner bought good parts and has everything in working order – no mean feat for a 1983 BMW. With a slightly readjusted ride height, the silliness would disappear and this would just become one of the cleanest E21s out there.